Ongoing investment also underscores the commitment Valet has to staying local. “We are continually reinvesting in our company. Over the past four years we’ve replaced three-quarters of our manufacturing machines. Each one has gotten us closer to perfection, expanded our capacity, and made us more efficient. Valet has a wide selection of standard material offerings include both thermally fused laminate (TFL) and real wood veneers with more than 42 finish options. 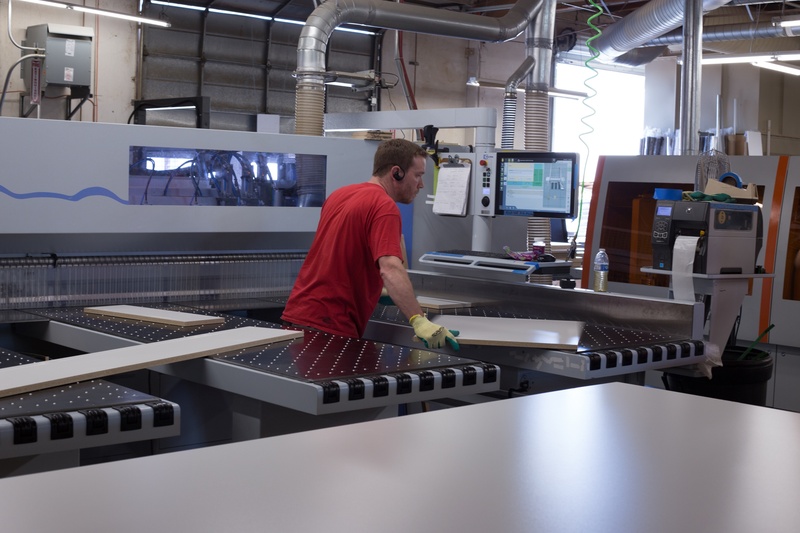 Taking each component from raw material to finished cabinetry is a multi-step process overseen by Scott and his trained and experienced team. “The designers create custom CAD designs, then we [manufacturing] take it from there. Almost everything except drawer boxes are built in our own shop. This way we control the whole process. The machines are calibrated to 1/1000th of an inch to create a precise fit every time.” Scott says. A computerized cut-list is downloaded directly from Valet’s CAD software to the beam saw. 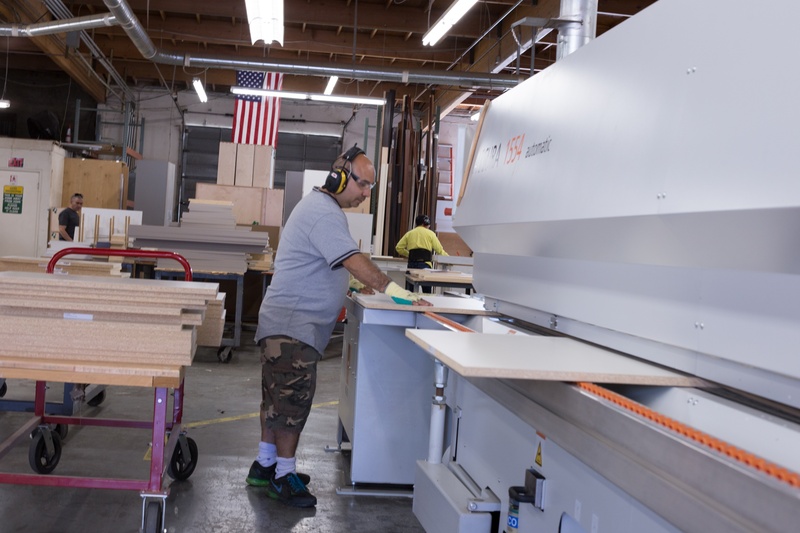 Then TFL or wood veneer sheets are cut into parts sized perfectly for that cabinet or closet design, with tolerances of less than 0.005/inch in each cut. The edge bander then takes the cut parts and adds a finished edge. 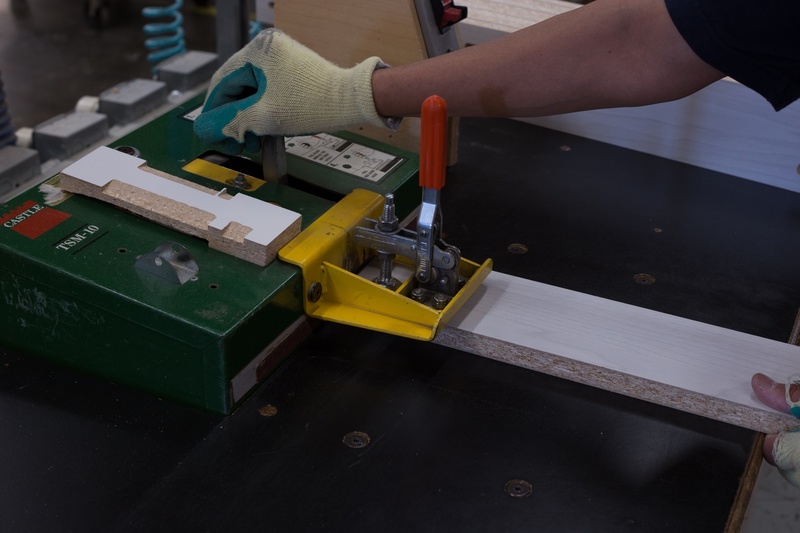 Most cabinetry companies use a stock color for this process, but with Valet it’s all about the details. They custom match their edge-banding to the cabinetry finish, stocking a complete range of edge colors to exactly match every panel. They even match the glue to ensure that the definitive edge of each part looks perfect. Once the edge is finished, each component moves to the machining stage. Valet has both their cabinetry division, as well as the closet and garage division, located within the Campbell manufacturing facility. 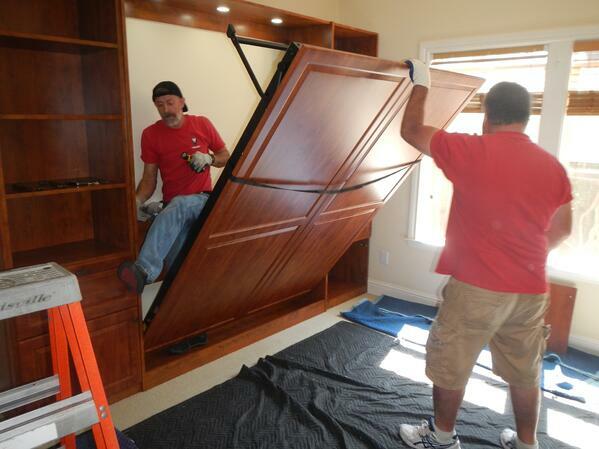 Once the components of each custom cabinet or closet are finished, they are staged for installation by Valet’s team of expert installers. From wall beds to cabinets to closets to garages, Valet installers have the experience and training to make sure the finished product is what the designer envisioned, and the client dreamed of. If you are in the market for space enhancement for your own home, call Valet today to speak to a designer.